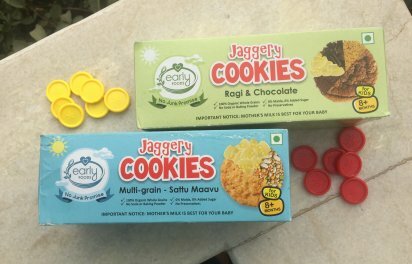 Indian snacks for Kids made the traditional way using natural products. Heartland flavours, forgotten in urban modernity, sourced directly from farmer cooperatives, packaged and branded for the urban consumer. 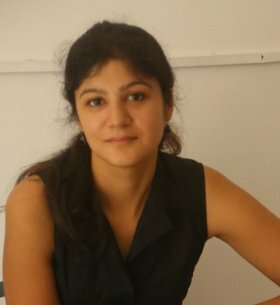 The GO DESi Review sounded like a win-win situation from the word GO. 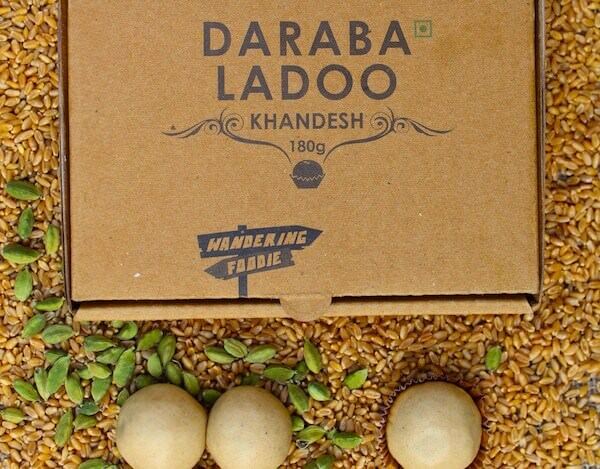 The Go Desi range and brand ethos reminds me a bit of the Desi VDesi brand. Except the products themselves are quite different. Which is a very good thing! More choice for the consumer, more revenues for the farmer. 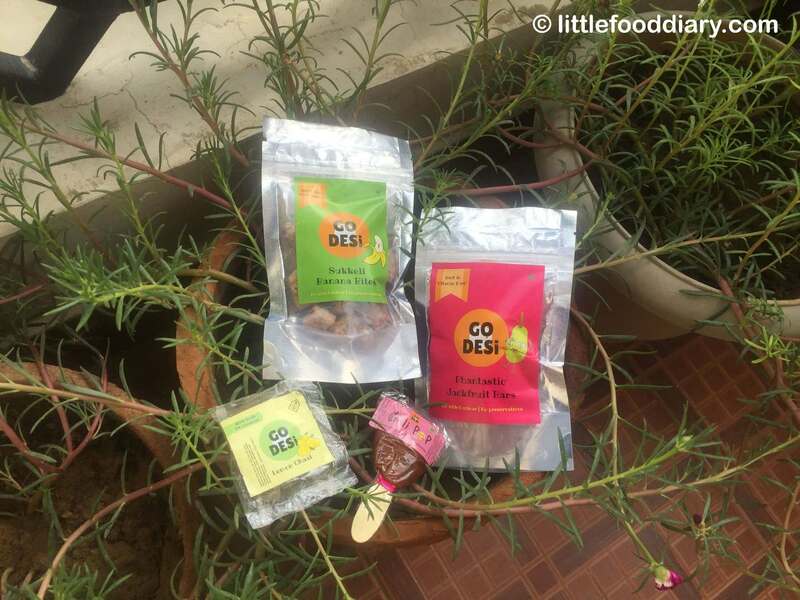 GO DESi products are not made particularly for kids and the range of flavours offered will not all be palatable to kids either. However, the Healthy Snacks for Kids tag sits lightly on their heads. Packaging – GoDesi packaging is similar to that of AllHeart, DesiVDesi, Nutritatva, etc. Convenient, small packages with ziplocs that keep the product fresh. 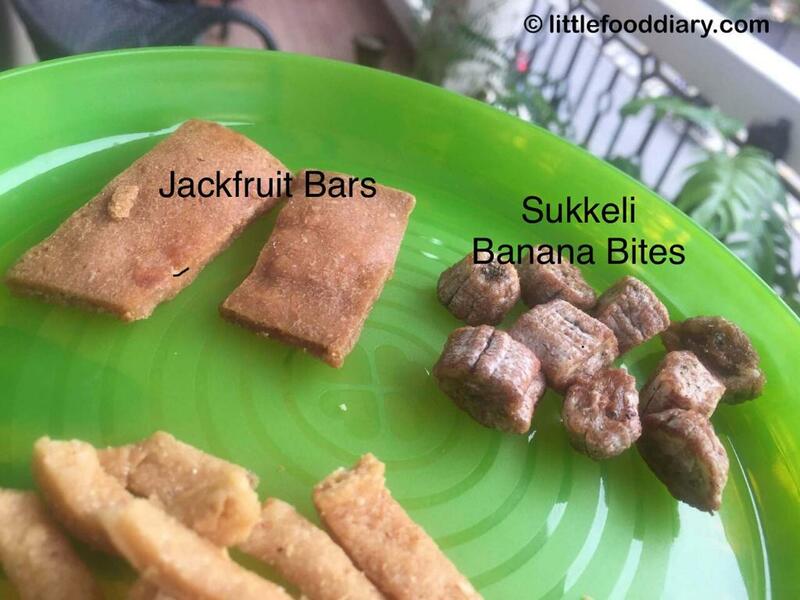 Taste – Bowing to my daughter’s sweet tooth, I bought the 2 sweet treats – Sukkeli Banana Bites & Phantastic Jackfruit Bars. Both were superb and were eagerly gobbled up by her and her friends during a picnic outing. I also ended up receiving samples of Imli Pop and Lemon Chaat due to a payment mix-up (these guys are super respondent and eager to please!). The Imli Pop will remind you of the Imli toffee of yore and the Lemon Chaat tastes like dried Black Lemon pickle (I can feel some of your own mouths watering..). 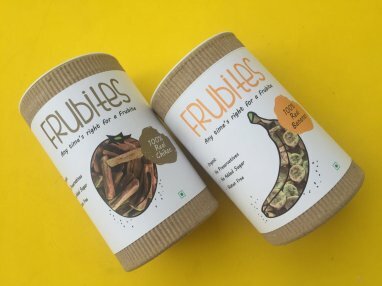 Ingredients – Go Desi Handmade Snacks are made of exactly what they taste of – bananas, jackfruit (with a pinch of sugar), tamarind & spices etc. 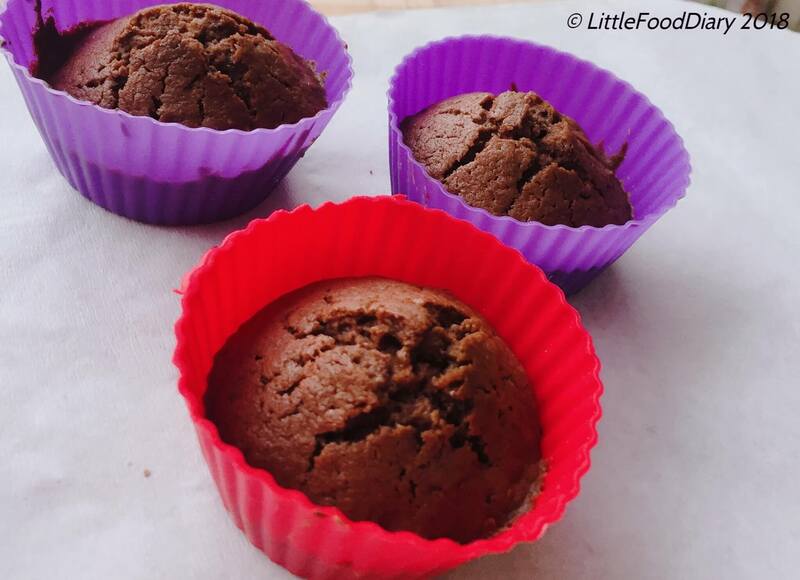 NO unnecessary preservatives, flavourings or colours.. Portion Size – A handful of Sukkeli Banana Bites or 1-2 Jackfruit Bars should make for a good kid sized portion. The spicier Lemon Chaat and Imli Pop is in any case difficult to consume in large amounts so should not be a cause of concern. 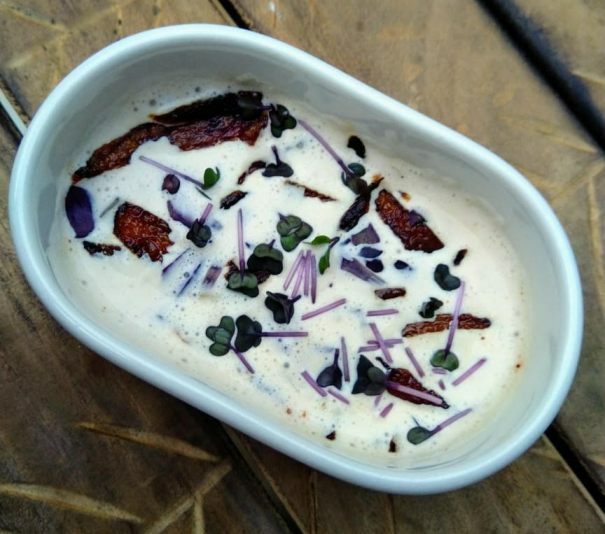 Children – Most kids will enjoy the Sukkeli Banana Bites and Jackfruit Bars. Lemon Chaat and Imli Pop will definitely invoke nostalgia in adults. For kids, it’s an acquired taste. Weightwatchers – All the snacks will work well as cheat snacks once in a while. Workout Snack – The Sukkeli Banana Bites or Jackfruit Bars can be had pre workout. 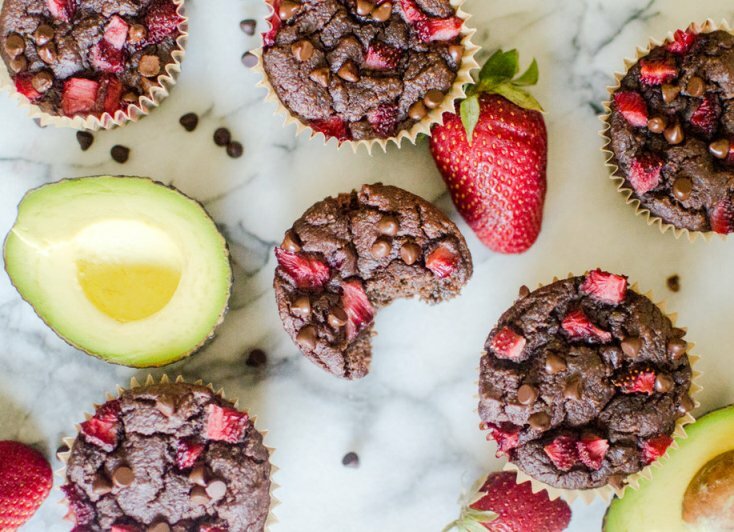 While not ideal snacks, they are convenient and natural adding to the positives. 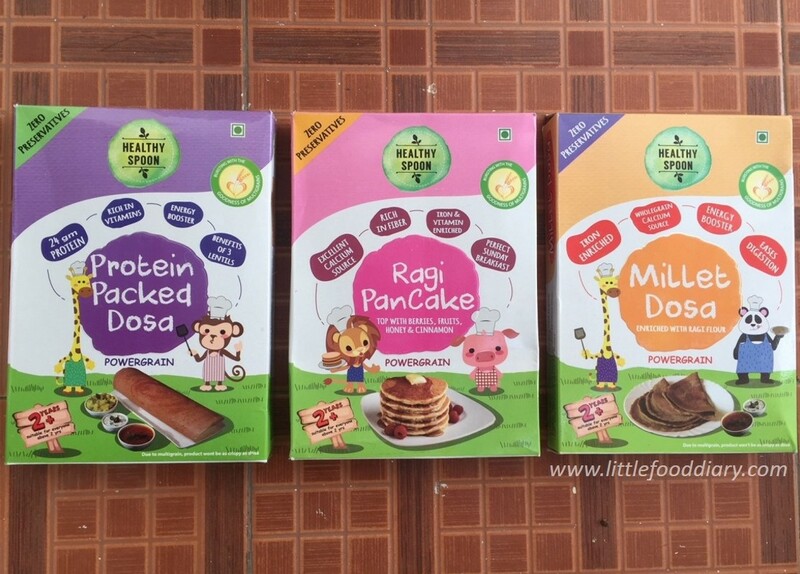 Buy GODESi healthy snacks for kids from the LFD Shop, Amazon, QTrove, Dil-O-Cious, Foodstree or The Better India. These Indian Snacks for kids are priced like all others in the market, starting at ₹150 per pack (150gms/ 175 gms). Discovering more forgotten Indian foods!